Which Is Better, Being Lawful Or Being Faithful? As we begin this week’s study we’ll be looking at the first half of Galatians chapter three. In it the apostle Paul continues to take the church at Galatia to task because of certain heretical teachings that were going on at the time. Newly converted Gentile Christians were intermingling with newly converted Jews who embraced Christ as the Jewish messiah. Evidently the non-Jews were being instructed by unnamed Jewish converts to practice and live their new faith while also adopting the Jewish customs of their new brethren in Christ Jesus. Paul continues with his blistering criticism of this practice as we begin at verse one. Here we see Paul summing up his point in one sentence when he wrote, “Did you receive the Spirit by observing the law, or by believing what you heard?” Since the observation of the Law of Moses – the first five books of the Old Testament – was fulfilled by the supreme sacrifice of Jesus Christ, Paul is simply stating that to continue observing the Old Law and its customs is both pointless and unnecessary. The crucifixion, death and resurrection of Christ is the embodiment of the new law, replacing the old. After spending all the time converting them and teaching them and founding a church, Paul is clearly exasperated with the church at Galatia because they had strayed from what he taught them was the Spiritual foundation of that church, none other than Jesus himself. It is not possible to obtain salvation through Christ by our good works alone, although it is good that we all do so whenever and wherever we can. We can do so only two ways according to Scripture; the first is by maintaining a totally committed faith in Christ and his Salvation, and the second is by grace that God bestows upon us through his Son. Grace is defined as unmerited favor, the spiritual equivalent of a free pass. Even though none of us deserves it due to our sins, grace is given to us freely as a token of God’s love for us when we accept Jesus as your Lord and Savior. So if you ever need evidence that God really does love you, just think about His grace as you bask in its warm light. If you are already a believer, just focus on that in your mind. And if you aren’t yet a believer, now would be a good time to become one. Simply ask Jesus to come and live inside your heart, and to stay there forever. The other thing the apostle Paul explains (or more likely reiterated) to the church at Galatia is the concept of unity between Jew and Gentile when he wrote, “Understand, then, that those who believe are children of Abraham. The Scripture foresaw that God would justify the Gentiles by faith”… Paul is clearly citing this as another reason to put away the traditions of old and replacing them with the then-new concept of Jesus Christ as the Jewish and Gentile messiah and as the Son of God. If any of you read my studies on the book of Romans, Paul touched on that same topic when he wrote, “For you did not receive a spirit that makes you a slave again to fear, but you received the spirit of Son-ship. And by him we cry, ‘Abba, Father’. The Spirit himself testifies with our spirit that we are God’s children. Now if we are children, then we are heirs – heirs with God and co-heirs with Christ …” (Romans 8: 15-17) So you see, Paul was literally telling the Galatian congregation that they were already adopted into the family of God, and that there was nothing extra or special that they needed to do to join the family. Moreover, since our adoption into God’s eternal family is through Jesus Christ, whose lineage can be traced all the way back to God, that makes us all Jewish by adoption just as it says in Romans. I don’t know about you, but I find the prospect of being an adopted Jew quite appealing. If that is the genealogy of my Lord and Savior, then that is good enough for me. Let’s continue now and conclude today’s study beginning at verse ten. The apostle Paul repeatedly quotes the Old Testament – or more accurately the Law of Moses, which was still very much the religious tradition of that time in that part of the world – in order to finish making his point. Paul’s literacy was the exception rather than the rule in those days, and he uses his educational level to his advantage right here. Clearly, Paul writes, “ … no one is justified before God by the Law, because ‘the righteous will live by faith’…”. This is the crux of the matter, which is that no one can enter into God’s kingdom – or the third heaven, as Paul called it – based on their good deeds and legalistic achievements. The only way to salvation is through our uncompromising and undiluted faith in the saving power of the blood of Christ. There is no other way by which any of us may enter heaven, and there are no exceptions allowed based on the teachings of Christ. If anyone tries to tell you any different, get away from those people and those churches because they are teaching a false doctrine, and they will be held accountable. But it is the truth, Jesus said, that will make you free, and anyone who is free in Him is truly and irrevocably free. And that’s the best news of all. When I closed out 1st Thessalonians chapter four last week, you no doubt recall my interpretation that we are to be living each day of our lives as if it will be our last. I cannot overemphasize this important truth, nor is it possible to diminish its importance. God is watching everything we do and listening to everything we say, and for a man like myself being in a position of Christian leadership, I am held to a higher standard by the Lord, because what applies to church members applies to me twice as much. Plus, as our Lord’s return for his Church continues to get ever closer, I fervently hope that others will follow my example and be continually readying themselves for His coming. And this, my dear readers, is a goal worth attaining at any time. 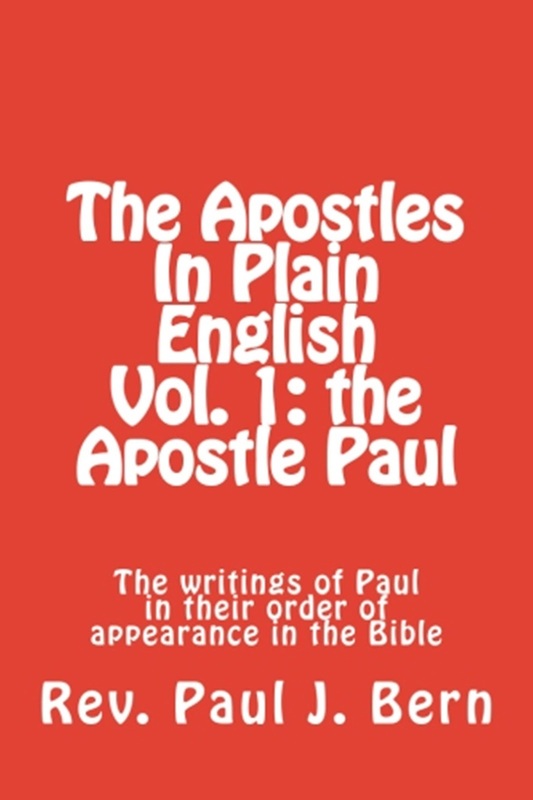 It is at this point that the apostle Paul takes up where he left off, starting at the beginning of chapter five. Paul paints a vivid picture of the coming of the Lord. Of course, one might ask if this is pertaining to the rapture of the church, or to the Lord’s triumphant return three and a half years later (see the Book of Daniel chapter 12, etc). If you are one of those who has studied the rapture, the tribulation and the signs that we are living in the end times (never mind what you may have seen on TV or at the movies), then it is essential that we understand what Paul meant here. When he wrote, “the day of the Lord will come like a thief in the night”, I believe this warning was meant primarily for the Church. Be ready, watch and pray that we receive purification from the Holy Spirit, so that as members of the Bride of Christ we may be found “without spot or blemish”. “While people are saying ‘Peace and Safety’, destruction will come on them suddenly…”. According to prophecy, before the Antichrist can come to power, World War 3 will have to occur first (also known as the Gog-Magog war of Ezekiel 39 and 39). There will also have been a series of natural disasters that will have occurred by this point in time (I don’t have time to explain that part in detail, so please bear with me). People will be clamoring globally to be free to live in peace, and to be safe from natural disasters; “… and they will not escape” can be translated into modern English as saying, “Total destruction will overpower them without warning, and they won’t stand a chance”. Nobody knows exactly what this means since all those other events have not yet occurred, and speculation would be counterproductive. All I can tell you is that the Antichrist will be in power for a total of seven years, and that one of his first acts will be to negotiate the peace treaty that ends World War 3. All the countries involved will adhere to this peace agreement for three and a half years. At that point the Antichrist will do something that breaks that same peace deal while elevating himself to something supposedly equivalent to God, as if there were such a thing. It is at this point that the persecution of Christians will greatly increase, and this will be happening in the US as well. This will be the “acid test” for all of those who identify themselves as being Christians. Either we take the mark of the beast and worship the Antichrist as god here on earth, or we refuse and continue to worship Jesus as the Son of God in heaven. Those who do worship Jesus will find themselves being martyred by the forces of the Antichrist. A time is coming when our Christianity will cost us our life. What will you choose? To quote the prophet Jeremiah, “As for me and my household, we will serve the Lord”. Since the Lord died on the cross for my sins, I would not have any problem returning the favor, knowing that like himself, he will raise me from the dead to eternal life. We should all be willing to do the same. “But you, brothers, are not in darkness so that this day should surprise you like a thief. You are sons of the light and sons of the day. We do not belong to the night or to the darkness. So then, let us not be like others, who are asleep, but let us be alert and self-controlled.” Remember who we are in Christ! We are the adopted sons and daughters of the Most High God through the shed blood of Jesus Christ. We were bought at a very steep price, one that no man would be willing to pay. We were adopted as sons and daughters of Jesus our Kinsman Redeemer, making all of us Jewish by adoption (see Romans 8: 15-17 or Galatians 4: 4-7, among others). We don’t belong to the night and we never did, we were born for the day and for the light from our very conception. “Let’s be alert and self-controlled”, Paul wrote. You won’t be ready to meet the Lord at the rapture if you’re in bed sleeping off a hangover, or after playing video games all night long. As I have said before, it’s time for us all to get our priorities straight. Jesus first, worship him first and always give him top priority in your daily living and you’ll find yourself living with an internal peace that was neither present nor possible before. I’m speaking from experience, and if God can do this for me then he can do so for you too. But we must ask Him first. Sitting around waiting for God to give any of us a hand-out will accomplish nothing, unless one considers wasting time an accomplishment. I most definitely don’t! “ God did not appoint us to suffer wrath but to receive salvation from our Lord Jesus Christ. He died for us so that, whether we are awake or asleep, we may live together with him. Therefore encourage one another and build each other up…”. I will sum this up in one sentence – we’re not here to be on the receiving end of the tribulation that Jesus spoke about, but rather we will be protected from it if only we remain faithful to his Word. “If you love me”, Jesus said, “keep my commandments”. Jesus died so that we may have eternal life with him in heaven, a new dwelling place that we have not yet seen. Obeying His commandments is the second prerequisite, believing that he is the Son of God is the first. Having written that, let’s conclude our study starting at verse twelve. Respect the value of hard work, Paul is saying, and especially those who do so. Dirty hands and sweat can turn an otherwise boring day into a really fun one. This is especially true of the younger men and women who are still able-bodied enough to do so (unfortunately, that is no longer the case with me). Hard physical work is dignified provided that it is done constructively. “Warn those who are idle, encourage the timid, help the weak, be patient with everyone.” Build each other up, don’t tear each other down! Make the idle people either get off their butts and get to work or move on and stop standing in the way. It is written in the law of Moses, “If a man will not work he shall not eat”. Yet by the same token we are commanded to “be patient with everyone”. Give the slower people a chance to catch up. Better yet, why not donate your time and tutor a few to help them along? Now that would be in keeping with the Holy Spirit of Christ! “ …always try to be kind to each other and to everyone else.” Sometimes I think the secular world understands this better than modern churches do today. Immediately after recent natural disasters here in America, there were armies on volunteers that descended on these devastated areas and helped clean up, doing whatever needed to be done. What surprised me was when I found out that up to half of these volunteers don’t bother going to church. Yet they understood the command and answered the calling that God obviously put on them. “Do not put out the Spirit’s fire; do not treat prophecies with contempt. Test everything. Hold on to the good. Avoid every kind of evil.” Let the Holy Spirit always be in control of everyone, every life, in every situation and in all circumstances. Check out everything you see, hear or read to determine its value, or the lack thereof. Put problem people completely out of your life if that’s what it takes to get free from negative influences and all forms of evil. Hold on to the good and simply let everything else go. Such timeless wisdom! “May your whole spirit, soul and body be kept blameless at the coming of our Lord Jesus Christ. The one who calls you is faithful and he will do it.” Paul closes out by replaying that theme of being found holy and blameless before the Lord, with the understanding that this is only possible through the indwelling of the Holy Spirit. No one can do this by themselves, but only through complete reliance on the Holy Spirit can such a noble goal as this be achieved. The key is in the last sentence, “The one who calls you is faithful and he will do it.” Total reliance on Christ will enable him to cause us to be holy, pure and blameless in the sight of God. Instead of being self-reliant as we are in most situations, we are to step aside and let Christ do the work, not for us but through us as we become willing conduits for his unequaled Spiritual power. That is the ultimate meaning of unity through Christ. Shalom!